Do you use PayPal for online transactions, personal or business? 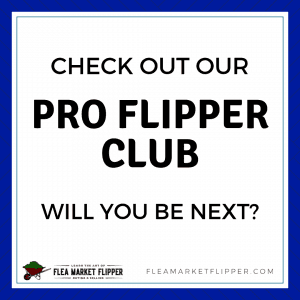 Have you always trusted them to keep your money safe against any fraudulent activity? If you use PayPal regularly (I still do daily), this post isn't meant to scare you, but to help you if you ever find yourself in a situation like I did: with your PayPal account frozen. is our primary income, I don't really have another option but to use PayPal. This post may contain affiliate links, please visit our affiliate disclosure for more details. You may be reading this because you are going through a similar issue at the moment, and I hope my experience serves some help to you. If you are reading this and you have never had an issue, don't let this scare you off. Just take notes for any future large transactions you may have. actually capped their fees on this to $750, so we didn't even lose a ton on fees). Check it out below! We were so stoked for this flip. I mean, who doesn't want to see a $25,000 transaction in their account. I remember that Melissa and I were just finishing up a run with the kids (we push them in the strollers while we do 2-3 miles typically), and we were walking back home when I got the eBay Cha-ching sound and saw what had just sold. What a beautiful sound it was that morning! That excitement lasted for a couple days and then it quickly turned into frustration and anger. I went into my account the day after the transaction took place to find my PayPal account frozen. At first I wasn't super alarmed; I know it was a big transaction and sometimes they hold things for a few days, especially until the item is delivered and then they release the funds. I called Paypal to see when the freeze would be lifted and they said that in order to have access to MY MONEY, I had to pay them $1,024 that they said I owed on a delinquent account from 12 years ago! Funny how it just came up now when I've had an active account for the past 12 years and they could have told me anytime. If I was in fact delinquent then I shouldn't have been able to open another account. They basically held my funds and forced me to pay it, because they knew I needed that money. I told them over and over again that my account wasn't delinquent and the e-mail associated with it wasn't even one I'd ever had. After much frustration I just paid it because we needed the money to live on. A few days passed by and I had transferred about half of the money out of Paypal, and left around $13,000 in. Hindsight I should have pulled it all out, because I logged in and found my PayPal account frozen again! I was beyond frustrated because I had already paid the $1,024 they claimed I owed, and the buyer had already received the security tower. I called them to see why it was frozen this time, and that's when things started to get crazy. 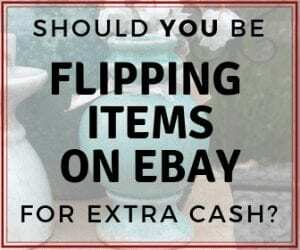 They said that according to their rules (which can be found in the fine print), they can hold money up to 180 days to make sure that the buyer is not going to come back and ask for a refund. When I heard 180 days I couldn't believe what I was hearing! 180 days is SIX MONTHS!!! They say that they have the right to hold your money and keep your PayPal account frozen for six months if they choose to. Then on top of that they said after 180 days they would review the transaction and decide if they were going to release the funds or HOLD IT FOR ANOTHER 180 DAYS. WHAT???? That is about when I lost it. I was able to get in touch with the buyer of the lift, and thankfully he was a cool guy and actually a retired lawyer. He agreed to get on the phone with me as we called Paypal to hopefully clear things up. PayPal states that they hold the money in case the buyer does a chargeback on their card. Well, this buyer stated he was happy with the security tower and would sign an affidavit stating he would not request a chargeback. PayPal didn't care what he said, they stood by the 180 days. At this point I was so angry and didn't know where to turn. I started Googling things like ‘PayPal account frozen', ‘how to unfreeze PayPal account', and stumbled upon this blog called screw-paypal.com. This site is dedicated to everything against PayPal. I discovered something on there that said write a letter to your congressman. It sounded a little extreme and like it would be a long process since I was a nobody to this congressman, but I decided to try it. I drove to my city government office and told them my situation. They gave me the proper person to get in touch with at Congressman Daniel Webster's Office. I wrote up a letter to Daniel Webster explaining the situation and sent it that day. (This is about a week into the situation). Three days after he (or his office) received the letter, my account was unfrozen! I couldn't believe it. It makes me think that PayPal is doing things that aren't exactly legit if one call or letter from a congressman can change their decision. But, either way I was so happy to have the account unfrozen! And they gave back the extra $1,024 they said I owed from 12 years ago. The feelings of relief and joy came over me when I saw my account unfrozen. I wanted to share my experience in case it helps anyone out there in a similar situation or prevents someone from getting in that situation (by not accepting amounts that high in PayPal). Honestly, I don't want this to scare anyone off from ever using PayPal or eBay. I have never had an issue in the past 20+ years like this one, and I probably use it more often than most people do. Like I mentioned before, this post was not meant to scare you off from using eBay or any other business that use PayPal. There will always be bumps in the road no matter what business you do. You just have to push through and find the solutions. 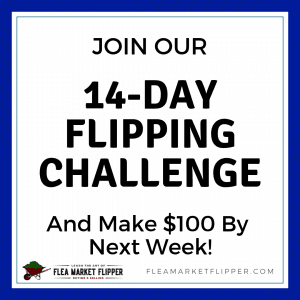 If flipping items is something that intrigues you, grab our download of 4 tools that helped me turn $40 into $1,000. 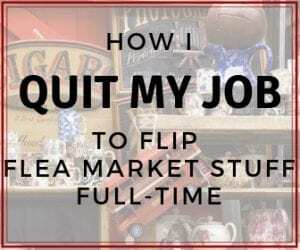 This will also add you to our list of flea market flips and eBay tips that we send out almost weekly (the goal is weekly, but life happens sometimes). You can unsubscribe from the list anytime if you never want to hear from us again. I would love to hear from you. Have you ever had any problems dealing with PayPal? 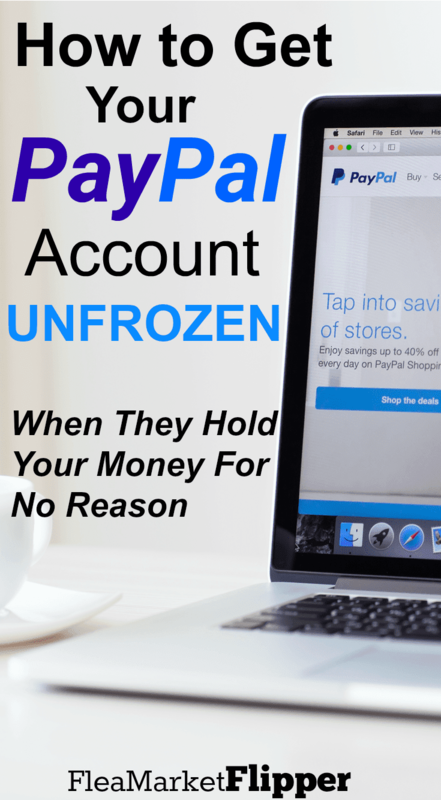 Have you ever had your PayPal account frozen? Comment below! I am thinking about getting a mini credit card processing machine for this type of situation!? What state are you located in? Each state has it’s own representatives. You could google your state and congressmen and see what office is near you that you could call and write a letter to. Hope this helps! Sorry you are dealing with it! I’m sorry about your situation. I don’t know if what we did would work for overseas. You could try writing your congressman from overseas if you live in the U.S.
I’ve had my PayPal account frozen just because I’m using it in Mexico. I uploaded all their stupid “verifications” but since I”m abroad I can’t do this “call them from my home phone” thing they seem to want me to do, obviously. In fact lately I’d been getting a lot of requests for SMS verification every time I logged in to my account online so I finally had to download the PayPal App on my phone so I could remove that “home” mobile number which I’ve long since not had anymore since I got to Mexico so they’d have to stop asking me to verify a SMS on it. It seems the “trigger” was that I “suddenly” started accessing the account here in Cancun, not all the times I used it in Mexico City, Ciudad Juarez, or Tijuana. What’s up with that? Cancun is more “suspicious” than the rest of Mexico? Well, since I’m out of the country my only hope was to write my Congressmen via their websites so I’m still WAITING for it to un-freeze whenever the bloody hell that may be; meanwhile I don’t have enough money to eat or pay rent because that, like $700 in my PayPal account was ALL I had left. I also get most of my translator agency pay into my PayPal account so there’s no work I want to be bothered doing, not if pay is going to be paid into a frozen PayPal account!! I can’t open a “Mexico” paypal account because I won’t have any of the “verifications” they’ll require like Mexican bank account and Mexican ID because I don’t LIVE here, which PayPal doesn’t seem to understand. People suggest having someone back home call PayPal and give them all of your details but I can’t even do that because Skype froze my account for the same reason; I used it here in Mexico. People are very difficult to reach by email and text these days…. We are so sorry to hear about this Pamela!! That does sound complicated. There has to be a way to get to a congressman from overseas. There should definitely be someone you could talk to if they just froze it because you were out of the country. That is a legit reason for a freeze, but usually a phone call to verify you are actually traveling is all they need. I am sorry you are dealing with this! This is what happened to me nearly two years ago…and it made my life worse and probably sealed my fate, I’m 27 and have been battling various cancers for over a decade. A group of amazing and loving members of an online community did a fundraiser for my radiation, which didnt go as theyd hoped. The account is in James but bank linked is my mother, and I suspect the large amount froze my funds…at the time I was dealing with life and death and mentally was not in a good state to even figure out this stressful situation, so I signed out and didnt open it for nearly two years. Cancer got worse now and opened up to $0.00. since i havent opened the account since then, i have no idea how it was settled, when they took over $2k or what this means now…Being Easter the day i discover this, I have to wait for tomorrow to find out if my funds are in the ether somewhere or just gone forever…which is what Im leaning towards…I wish i had been stronger when it happened because I probably wouldnt have signed my own death warrant back then. My account (only $208.00) have been frozen for over 8 months, Initially, they asked me to send them proof of my identity, which I sent a copy of my driver’s license, and since my husband was using the account, sent his drivers license, as well. nothing happened, I told them to close the account as we were not interested in keeping that account. We were supposed to wait 180 days. After 8 months wait and multiple calls/emails nothing has changed. I was wondering if this a tactic for Paypal to make some money off of its clients moeny. 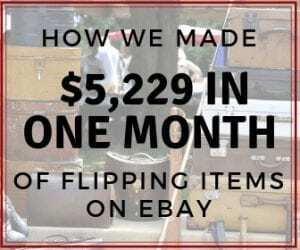 Just freeze a number of accounts (with different amount of money), for 180 days invest that money, then ask for a bogus amount (in this case $1,024 they were asking this person to pay), then unfreeze the account, knowing well that most these people need their account to do business with ebay. I am pretty sure they use that money to invest while they tie it up for you. I am so sorry you are dealing with it!! Have you tried writing to your state congressman?? When we filled out a complaint at our local office, the funds were released within a few days. They knew they were in trouble when they got that formal letter. I hope you can get it fixed soon! Crazy story! I am glad you did share after some time had passed. It’s scary how easily “Rules” can be made up. The emotional highs and lows of that week must’ve been intense. Thank you again for writing – I saved to Pinterest in the event I or others experience this sort of thing. Thanks Buffy! I hope you never have to deal with it, but if you do just keep calling them back again and again. I have to still use them with eBay, and haven’t had a problem since, but it’s always good to be prepared. We sell handmade wood items. Porch swings, boxes, rocking chairs, signs, various home decor. We had a festival this past weekend. Paypal wants to keep over $800 until September 28. We have a show that weekend and need to build up our inventory! You got any advice? I am so sorry to hear that Pam! Have you talked to a supervisor? Sometimes pushing your way to a supervisor is enough. But, if that doesn’t work you can try writing your a letter to your congressman stating your situation. That was the thing that helped us the most and it was quick. I hope they take care of i quickly! It can be so frustrating! I had a personal pay pal account several years ago and never had any problems. But when I opened my business PayPal account and started selling ar festivals, PayPal froze about $175 in my account for a couple of weeks until everything cleared, I guess. I would have been going crazy in your case! Thanks for sharing your story and for the advice. Hope I never have to deal with that, but I’ll know what to do if I do! I have had that happen before, when they are waiting for it to clear. 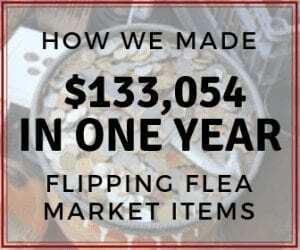 What do you sell at festivals?